The way Christine looks at Ben can fill a room with joy. It’s not difficult to see that these to are irrevocably in love! And to see a bride so tickled with excitement throughout her wedding day is simply refreshing. It was [of course!] the first freezing day of the season, but we sure made the best of it! 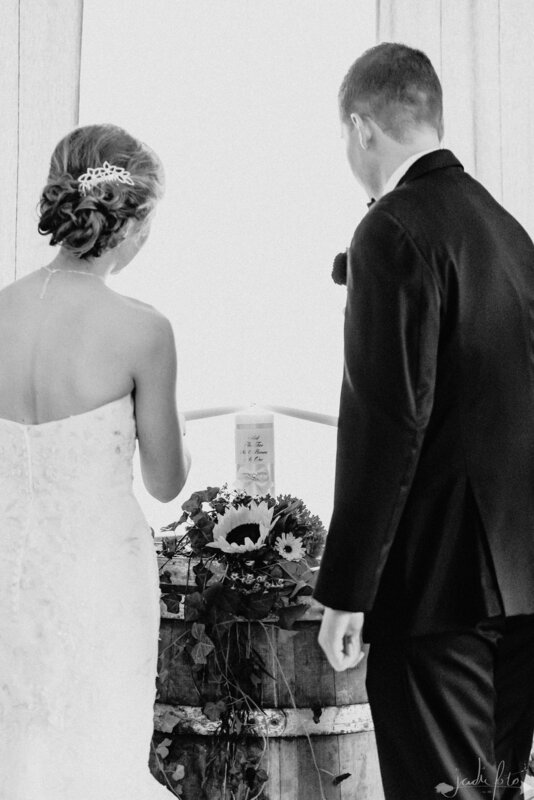 I just adore weddings at Debonne Vineyards, as I know my couple will be in excellent hands! Christine and Ben’s intimate nuptials were moved inside and the decor did not disappoint. The white mums and pumpkins were to die for! 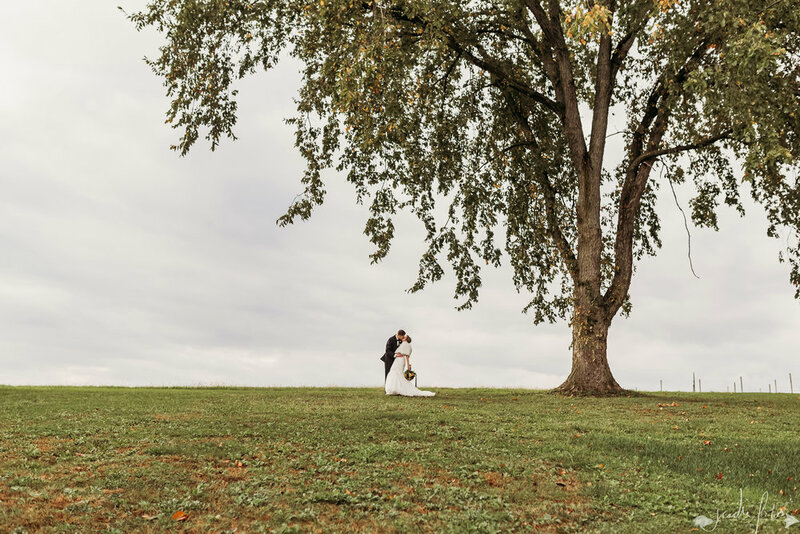 Outdoor photos were challenging with the soggy ground and chilly wind gusts, but they braved it all - and the bride even came prepared with an elegant fur shawl to keep warm! Everything from the beautifully written ceremony to the graciously hosted reception was just lovely! We’re just happy that this truly was their best day ever!